Online customer reviews from places like Yelp!, Facebook and Google Reviews are becoming increasingly important for service businesses that work with local clients. Consistently positive customer reviews offer great potential for transforming any business into a hub of activity. Reviews are actively sought out by prospective customers who are seeking new service providers, and these reviews are seriously evaluated by these prospects in their decision-making process. 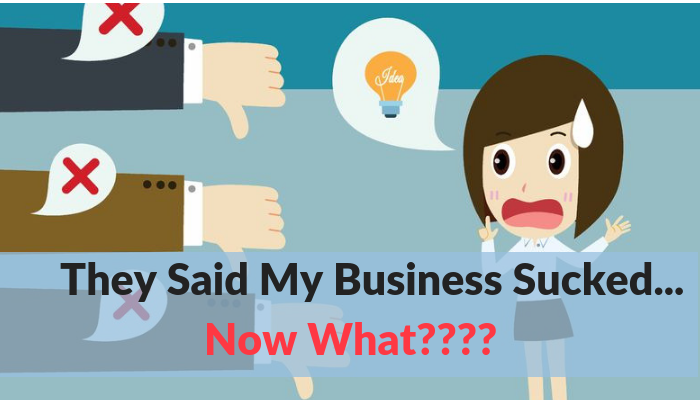 Since a businesses’ reviews are made by people who have had an experience with that business, their word serves as a very good indicator of what others can expect when using the services of that business. The greater number of reviews your business has, combined with having more positive than negative reviews, the greater likelihood that this positive “social proof” will lead to increased business. Consequently, it pays to have a system in place that encourages your customers to leave online reviews. The system could be as simple as giving them a business card that offers a discount on their next visit in return for leaving a review about their current visit. You should never “bribe” customers for positive reviews, but you can remind them to leave a review on one of the customer review sites. 1. Increases traffic through backlinking: A business enjoys increased traffic to its web site when it has many online reviews because the reviews carry a link to the site. These links, referred to as backlinks, make it easy for potential clients to come straight to your web site from any of the online business reviews that have information about your business. The greater number of sites in which your business is reviewed, the greater the chances of getting online traffic through the links to your web site. This makes it easy for potential customers to find you. 2. Offers customer-friendly assessment of your services: Online customer reviews are the new “word-of-mouth” marketing. By telling others about their experience with your business via a review, your current customers make it easier for prospective customers to seek you out. In addition, since reviews are written by your customers, they tend to stress the things that are more important to your customer base, which you may not know to emphasize in your regular marketing efforts. Plus, it’s easier for potential customers to believe what other customers say about you compared to what you say about yourself. 3. Improves search engine rankings: A business that has a number of online reviews often receives higher search engine rankings, which results in increased search engine traffic to your business. This means that the reviews your business receives in different customer review sites will boost the overall online presence of your business. 4. Improves online reputation management: Increasingly, one of the by-products of doing business online is that of online reputation management, or what others are saying about your business online. By actively encouraging online reviews from people who actually experience your services, you have a bit more flexibility in managing your online reputation. If someone posts anything negative about your business, its impact will be lessened by the presence of positive reviews, as most prospective customers will treat the negative experience as an isolated incident. 5. Gives you a competitive edge compared to businesses without online reviews: Compared to a business with no reviews, a business with independent online reviews is better placed to receive more business from prospects than one without. This is due to the increased web presence, availability of an assessment of services rendered and response from your company to online reviews. All of these things make it easier for you to get new business faster than an untried, untested and unproven business which has no online reviews. 6. Authenticates your services: At the very least, online reviews prove that you can offer the services you claim to offer. Since someone has already used your services and reviewed your business online, that signals to other prospects that you are legit and do what you say you do. This is very important for consumers who want to ensure that they are dealing with a reliable, tried-and-true entity. 7. Assists in the decision-making process: Today’s consumers are increasingly relying on online assessments of businesses as a means of making a decision on whether to buy or not. Since they need to have a way to assess which service provider is the best choice for them, online reviews provide them with the information they need to come up with a logical assessment of the best business to help them solve their problem. If you offer services to local customers, start to actively seek online business reviews to boost your web presence. Online customer reviews provide you with the best kind of social proof for others to hire you because of the perceived objectivity of the review process.